The government has approved rule changes opening the way for fully digital conveyancing. The changes, which come into effect on 6 April 2018, will allow digital documents with e-signatures to be used both for land transfers and land registration. However, a large number of those responding to a consultation on the changes last year questioned whether the gov.uk Verify service was robust enough to cope with electronically signed conveyancing documents, given current levels of identity theft. According to the outcome of the consultation, published yesterday, “one respondent stated that Verify is currently shutting out 40% of those trying to access it. One person suggested that the checking of identity should remain with conveyancers. “Others pointed out that as yet, Verify does not allow for identity assurance for companies, charities and legal entities other than individuals. The Public and Commercial Services Union, one of two recognised trade unions at the Land Registry (HMLR), said it was also concerned by reduced caseworker involvement in assessment of applications, and lack of public and parliamentary scrutiny of the new digital service. The union said it believed digital services would favour big conveyancing firms over smaller ones. In its response, the government said it could not go into detail on counter-fraud measures, but it believed that the proposed amendments to the rules would “enable digital services that are no less secure than paper transactions”. On lack of scrutiny, the government replied that rule changes determined which transactions could be carried out using e-documents with e-signatures, but did not change the law. It said that when new classes of e-documents were introduced, such as e-transfers, there would be a further consultation. The government disagreed that digital conveyancing would unfairly favour big firms, since small and medium-sized also used case management software. Under the new rules, HMLR would be able to provide an online service for inspection, copying and office copies from the register, and restrict the hours that members of the public can consult the register in person. All the changes were backed by a comfortable majority of respondents, despite the qualifications or comments added by some. A departmental minute laid before Parliament last week by business secretary Greg Clark, in which the government accepted any liability arising from HMLR’s digital mortgage project, said that Verify “has not identified a single example of fraud despite in excess of 1.25 million citizens’ accounts having been created”. Meanwhile, the Council for Licensed Conveyancers (CLC) has stated its ambition to become “regulator of choice for all property lawyers”, confirming that it is no longer interested in widening the scope of its regulation beyond conveyancing and probate. Publishing its strategy for 2018 to 2022, the CLC said there was “no market demand for another generalist regulator”, and the CLC’s specialism was “a great source of strength and appeal”. The CLC said in the strategy document that, by 2022, it would “benefit from even deeper insight into the specialist practice of conveyancing and probate thanks to increased policy input from practitioners, our own research, analysis of the impact of our policies and operations and intelligence received as we progress”. Indicators of success cited in the strategy document are that firms agree that being regulated by the CLC is either ‘extremely’ or ‘mostly’ beneficial to their business (the current figure is over 75%), and that the share of the conveyancing market, in terms of numbers of transactions, under CLC regulation continues to grow. 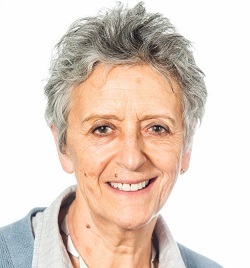 Dame Janet Paraskeva, chair of the CLC, said: “We decided that there is an important role in the legal market for a specialist regulator as an alternative to the generalist regulators. In a separate development, a survey of 38 conveyancing firms by legal services specialists Pitsford Consulting has shown widespread reluctance to publish prices on websites in the way currently advocated by the Solicitors Regulation Authority, following the Competition and Markets Authority report. The survey found that 80% of the firms did not publish prices online, and three-quarters believed that client reviews provided the best way forward to facilitate client choice. Having said this, only half of firms published client comments, reviews and testimonials, doing so “in an often inconsistent manner”.